Recorded Live at Budokan Grand Hall , Tokyo , Japan - March 02, 1988. Files: 21.:: Size: 825.52 MB (flac). Personnel: David Gilmour - Lead vocals, Guitars / Nick Mason – Drums / Richard Wright – Keyboards, Synthetizers, Backing vocals. Notes: this release from The Godfatherecords (G.R. 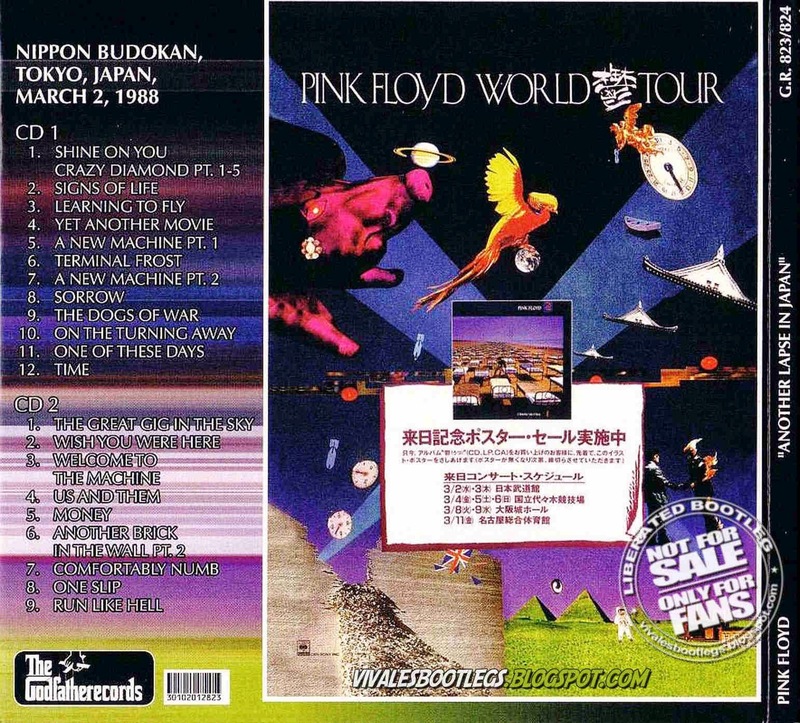 823/824) is a two CD set featuring an excellent audience recording from the first of two nights at Tokyo’s Budokan Grand Hall. 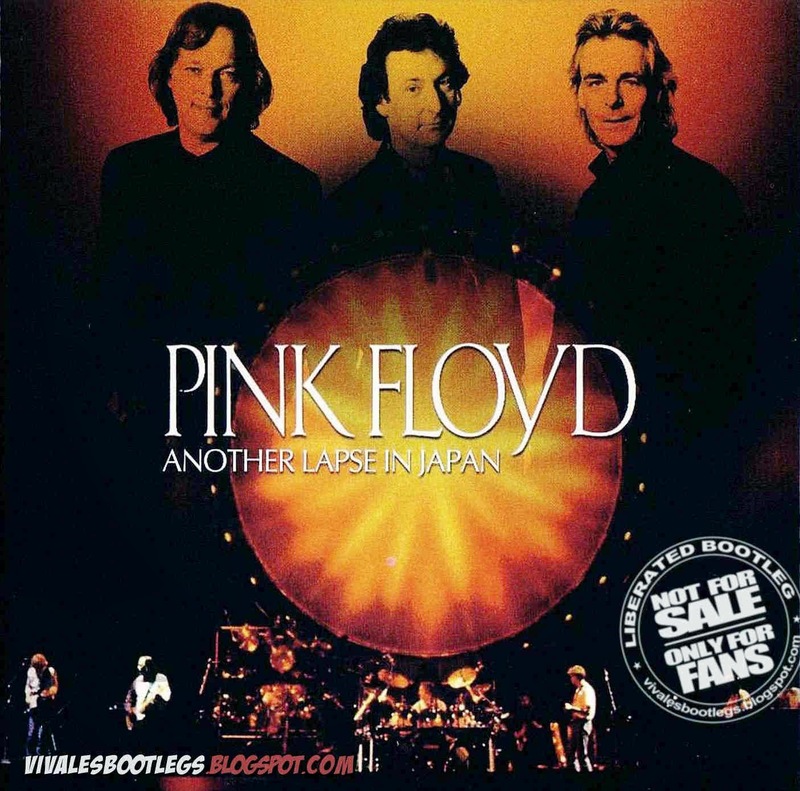 Previously this concert was issued by Sirene on the four CD-R set “AT Budokan” (Sirene-186), and on LEM’s 6 CDR “The Great Gig in The Budokan” release. The recording is lovely and clear, perfectly capturing the atmosphere. Japanese audiences are renowned for being quiet and attentive, and this proves to be the case here. There is very little noise around the taper, aside from the occasional enthusiastic whoop & holler. It would seem from the balance of instruments and vocals that the taper was at least initially situated to the right of the stage, probably in front of Rick Wright & Jon Carin’s keyboards. Gilmour’s vocals & guitar start off a little distant, but become much clearer within a few songs. In fact, this is easily one of the best audience recordings this reviewer has heard.. (Info from Collectors Music reviews).